How many times have you tried browsing the Popular Psychology section of your local library or bookstore only to find yourself reeling in bewilderment at the range of titles screaming out for your attention off the shelves? Worse still, of course, is the navigational nightmare of the internet where a simple quest for information on a particular topic of self-improvement will likely generate hundreds, if not thousands, of potentially relevant search results. Over the course of the past few decades the field of self-help publishing has steadily grown into a global, multi-billion dollar industry, encompassing just about every conceivable facet of personal development under the sun. Whilst some people might simply be looking for a few inspirational words of wisdom to help put them on the road to a more fulfilling or rewarding way of life, for others self-help can potentially make a very meaningful and significant contribution towards personal recovery and lasting support. Books focusing on the subject of specific mental health issues have seen a particular rise in popularity in recent times, many of them grounded in the evidence-based principles of cognitive behavioural therapy – an approach which can be quite easily and conveniently adapted to self-directed methods of learning and reflection. According to the Guardian newspaper, there is "a wealth of evidence" that suggests the use of self-help books can be beneficial in treating mental health conditions. A recent report published in the scientific journal Plos One appeared to indicate lower levels of depression amongst people who had been ‘prescribed’ self-help books appropriate to their condition. It is important to note, however, that each of the individuals taking part in this study had also received up to four sessions of face-to-face counselling - the report concluding that its findings appeared to concur with earlier research which confirmed "the importance of guidance in improving the impact of bibliotherapy". By way of a response to this evidence, the Reading Agency has recently collaborated with the NHS in England and introduced Books on Prescription – a scheme whereby individuals with mild to moderate mental health issues, such as anxiety and depression, are prescribed self-help books which they are able to borrow from their local library. Amongst the thirty recommended titles on the list are books which focus on issues such as anger, anxiety, binge eating, depression, obsessions and compulsions, panic, phobias, low self-esteem and stress. A successful scheme of this kind has been running in Wales for the past ten years, where it is currently estimated that around a third of the most frequently borrowed library books are titles belonging to the self-help genre. Similar prescriptive book lending arrangements have also been operating for a number of years in other parts of the world, such as Denmark and New Zealand. With official statistics indicating that there are somewhere in the region of six million people across the UK living with anxiety or depression, it is quite easy to see a potential demand for a service of this kind. Adding further weight to this argument must surely also be the impact of widespread local and regional cutbacks in the provision of psychological therapies. Whilst some areas of England are far better placed for accessing support services than others, as a nationwide initiative the Books on Prescription scheme might at least be seen as going some way towards bridging the ever-widening treatment gap. For anyone interested in finding out more about the titles which are currently available under the scheme, a full list of the thirty recommended publications can be found on the Reading Agency’s website. Alternatively, there are various other UK-based organisations which offer a range of downloadable support and information resources, including Mind, Sane, Rethink and the Royal College of Psychiatrists. 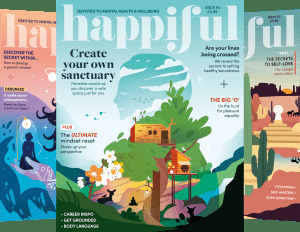 The recently-launched charity Mindfull also provides online self-help materials aimed specifically at supporting the mental health and emotional wellbeing of young people aged between 11 and 17.